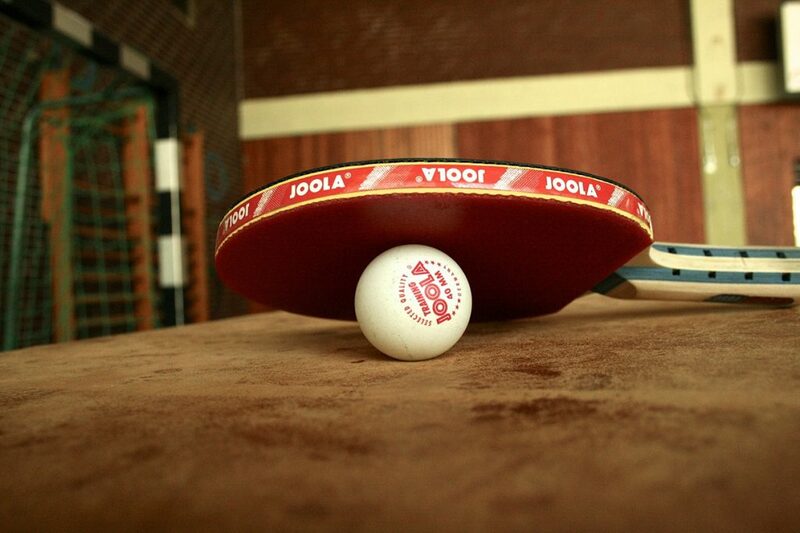 Table tennis, also known as ping pong, began back in the 1800’s. This sport is still popular today, and it’s easy to see why. Here are the top 9 benefits of playing table tennis! One benefit of playing this game is that it sharpens up your hand-eye coordination. You have to strike the ball at the exact moment to make sure it doesn’t go out of bounds. This requires your brain to fire up neurons that send a signal to your hand, telling it when the ball is in the perfect range to make the hit. Table tennis is a valuable tool when it comes to increasing the speed of your reflexes. This game can get up to super high speeds! In 2003 in New Zealand, Lark Brandt won the World’s Fastest Smash Competition. That ball was flying at 70 miles per hour! In professional matches, the ball often achieves speeds of 58 km/h, requiring very fast reflexes to stand a chance. When playing ping pong, you have to run back and forth to catch the ball from going over the edges. It is bound to come to you from all directions. All of this running can cause an increase in heart rate and breathing. We call this cardio, and the benefit of cardio is that over time, it can help you lose weight. Who knew weight loss could be so much fun? An important benefit of playing table tennis is that it keeps your mind clean, clear and focused. You have to come up with various strategies to outsmart your opponent and you have to train your brain to know how fast the ball is coming your way, so you can line up the perfect hit. Studies have shown that table tennis is a good way to prevent Alzheimer’s in people who are aging. Maybe it’s time to call up that old grandmother and see if she wants to play a round or two. There are competitions where children as young as 11 years-old are winning awards playing table tennis. 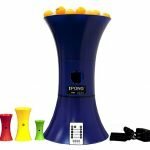 They are developing the ability to maintain focus on the ball and learning the strategy of the game. If you have a child that has problems focusing or paying attention, it may benefit them to sign up for these types of competitions. There are reports of some couples saying “ I Do” over a game of ping pong. This one-on-one game is a great way to bond, and some people love the sport so much that they even decide to include it in their wedding. 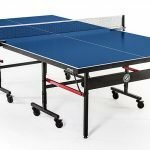 If you are looking to improve your relationship, or maybe even take it to the next level, then table tennis is a sport you need to try. Some studies have shown that when couples play games together, it puts them in a place where they have to work as a team to solve a problem. This transfers into how they interact with each other and how they resolve their occasional disagreements. 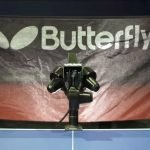 It can even be true in a game like table tennis where they are opponents, by helping each other improve or learning new type of strokes together. 7. A Great Way to Make Friends. If you just moved to a new town, it can be hard to make friends. It’s easy to go out to bars or events with the idea of making a friend in mind, but once you actually get there, it can be hard to break the ice. Table tennis can be a great icebreaker! You can play with a person even if you don’t know them, and after a couple of games, friendship will develop all on its own. You can find tables at community centers if you aren’t into going out to bars as well. 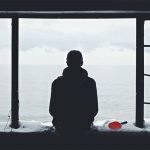 This is good if you are living a sober lifestyle and want to make friends that potentially are doing the same. Another type of friendship that could be built through table tennis, is that between a parent and child. If you are having trouble connecting, then try playing a couple of games. This can turn into an event that you both look forward to and a great way to build a bond. When you are playing this focused sport, it is important to find a place of balance and calm. This is because of all the factors that go into playing the game. You have to know when to let go of your thinking and just perform your strokes as best you can. When you can get into this state of thinking, it is much easier to hit the ball and eventually even win the game. This is called being in flow and is one of the best feelings that you can experience. It can also help you to find a place of calm after you play. 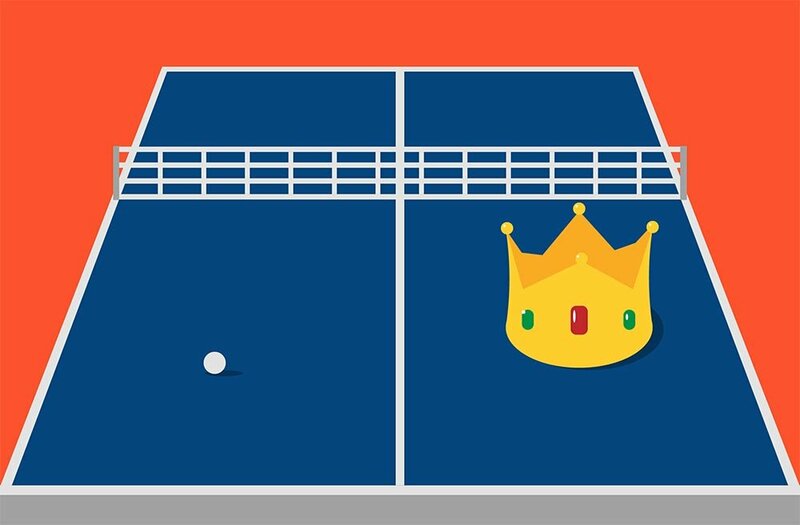 Once you exert all of your energy at the tennis table, it will be much easier to relax into your daily routine afterward. 9. It Teaches You How to Win and Lose. Ping pong is a great way to get into some healthy competition. The thrill of trying to keep yourself in the game and steal a point from your opponent can sometimes be an adrenaline rush. It feels good to win, and you might find that you like it. Of course, sometimes in table tennis, we lose, and that’s okay too. Losing helps you get better and tells you what you need to improve next. Just make sure you have the best ping pong paddle possible; it’s one of the easiest ways to improve your game. If you do find yourself on an extended winning streak then maybe you should look into competing in tournaments. You could not only win a cool title but depending on the tournament you decide to play in, you could even win some money! The benefit of table tennis from this perspective is that you could learn good sportsmanship and maybe even one day, make it a full paying career. 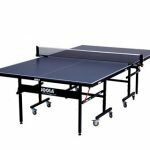 The list of benefits you can get from playing table tennis is extensive. This sport provides a great way to get moving, and a fun way to spark a bit of competition. You can even greatly improve your health, and prevent the onset of Alzheimer’s. These are all great things to keep in mind when you play your next game! 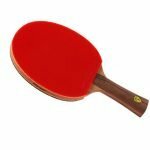 Very well comments of benefits of table tennis… Each need to remember and to follow playing, to advance and really to practically find upper writing benefits… Congratulations everybody. Hi, I have a query. If ping-pong table is not available, will playing against the wall (i.e. 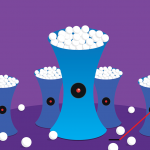 hitting the ball on the wall) or on the floor, provide same health benefits to the brain and other parts of the body? Also,if single person plays using both the hands, will it help more to the brain? 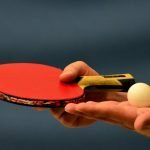 Can table tennis help in improving squint eye also ? ?